1. Large plots of land 0.205acre. Land is freehold (kekal). 3. Location is in a prime area. 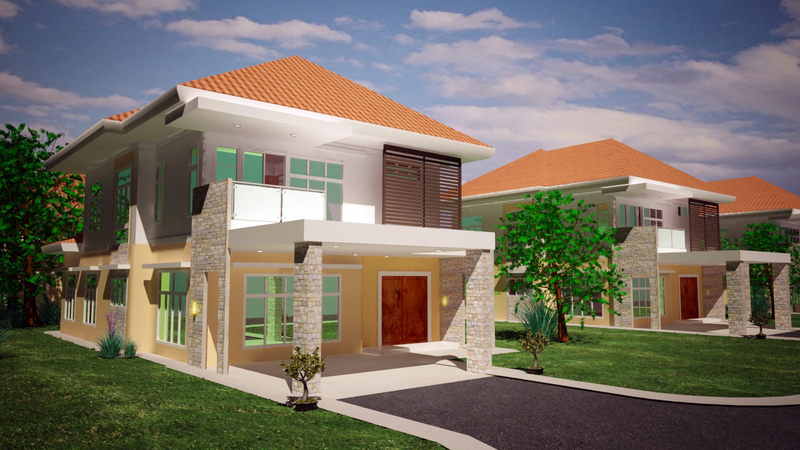 The villa is great for investment or to reside in. 4. The Villa uses high quality materials from the exterior right through to the interior without the high price tag. 5. All lighting is included from the down lights outside to the recessed lights inside the villa. 6. Kitchen cabinets and counters come with the villa as well as wet kitchen with separate storage. 7. Timber flooring upstairs. This will add a homely feel to the villa without compromising quality and style. 8. Bedrooms upstairs come with adjoining bathrooms that are complete inclusive of a glass shower screen. 9. Master bedroom has private balcony and adjoining bathroom that comes complete with his & hers basins. These are just a few of the wonderful things about Borneo Vilas. To find out more feel free to contact Rumahku Real Estate for more information on how to own your own Borneo Villa.